This USB-C™ to VGA video adapter lets you output high-definition VGA video from your USB Type-C™ device. 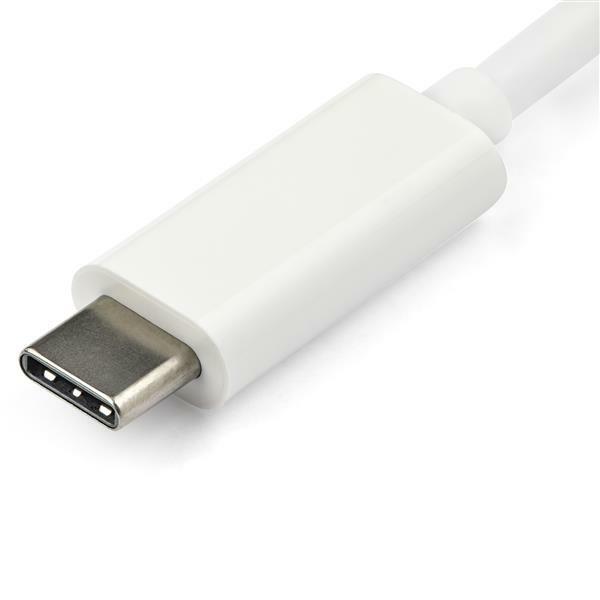 USB Type-C is a universal connectivity standard that combines all of your essential functions into one dynamic port. The connector is featured on ultra-portable devices with USB 3.1 Gen 1. This adapter works with USB-C devices that pass a DisplayPort video signal, such as the MacBook and Chromebook Pixel™. 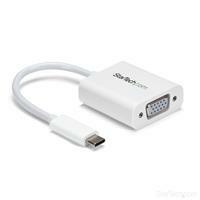 It's also compatible with Thunderbolt™ 3 ports. This USB Type-C video adapter maximizes portability with a lightweight, small-footprint design. It’s the perfect accessory to carry with your MacBook or Chromebook, because it fits easily into your laptop bag or carrying case. This ultra-portable design makes this adapter perfect for BYOD (Bring Your Own Device) applications at the office. This adapter lets you take advantage of the versatile USB Type-C port on your portable device. The USB Type-C connector is reversible, so no matter how you plug it in, the adapter will always work, which saves you the hassle and embarrassment of struggling with your device when you're trying to deliver a presentation or collaborate with a colleague. The adapter supports video resolutions up to 1920x1200 or 1080p. 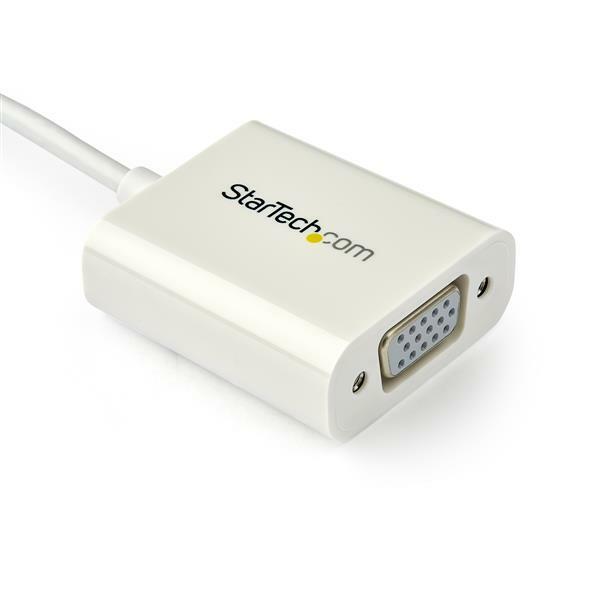 You’ll be surprised at the picture quality the adapter provides, even when connected to a legacy VGA monitor, projector or television. The adapter harnesses the video capabilities that are built into your USB Type-C connection, to deliver every detail in stunning high-definition. The CDP2VGAW features a white housing that looks great with your MacBook and is backed by a 3-year StarTech.com warranty and free lifetime technical support. Note: Your USB-C equipped device must support video to work with this adapter. The adapter will not output digitally encrypted content.